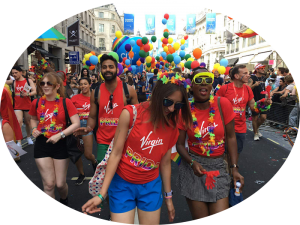 At Virgin, our people are our greatest asset and we see the strength and value in our differences. We’re always striving for greater inclusion and diversity in our global workforce. In this article, Virgin founder, Richard Branson, lists his top 10 quotes from around the spectrum. Read all 10 here! Also, check out this article about Virgin’s reentry program for former prisoners in the UK.